Eve Swinscoe, 24, from Rhyl became a mother at the age of 17 and since then struggled for years to find a permanent job. Eve said: “I’ve never been particularly academic and left school at 16 without achieving any GCSEs. Not long after my son was born, and as his sole carer I was unable to work until he started school two years ago. Since then my lack of qualifications and work experience, combined with my childcare arrangements, made it very difficult for me to find a job. “I’ve always dreamed about working in the care sector, specifically with older people, but whenever I saw care positions advertised they were always looking for candidates with existing skills and experience within the industry. I had no idea how to gain the work experience needed to get into the care sector while earning to support myself and my son. “I had been looking for work for about six months and was happy to try anything my Job Centre case worker thought might help me. When they told me about the Employability Skills Programme I jumped at the chance. “When I found out that the programme would give me the necessary skills to do a placement with a care home I thought it was too good to be true, it was the perfect solution to help me get the experience I needed. “At the beginning of the programme I went through eight weeks of training in the processes and admin work I would need to know if I was working in a care home. “A few days into the programme I was interviewed by two senior carers from St David’s Care Home for a potential eight-week work placement with them. I was able to answer their questions using the knowledge I had gained through my training and I must have impressed them because they offered me the placement! “I spent my eight-week placement shadowing carers during their shifts and learning the practical side of working in care. The shift work meant I had to make childcare arrangements for my son outside of school hours, but I was determined to make the placement work and took advantage of the breakfast and after school clubs as well as childcare to work any late shifts. “I was so happy when they offered me the job that I cried. Before I took part in the Employability Skills Programme I had almost given up on my dream of working in care, without it I would never have been able to gain the skills and work experience I needed to secure a job in the care sector. Want to gain more skills? Looking for help to find work? 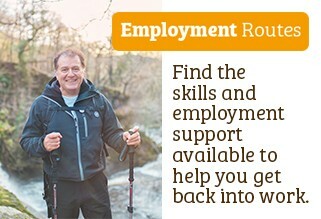 Employment Routes is a directory of programmes across Wales that can help you increase your skills and find a job. Want to work in the care sector? If you’re the sort of person who likes to help people then a career in the care sector might be for you. 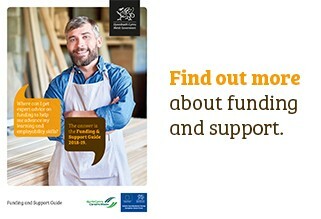 As a professional carer you could be helping people who need support because of illness, old age, disability or a combination of factors.